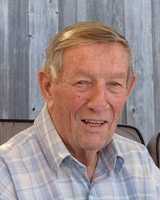 Donald G. Davidson was born on June 16, 1932 in Toronto ON. Married to Darlene (nee Nelsen) for over 64 years. He passed away peacefully, surrounded by family on March 18, 2019 and will be greatly missed. Don was the second youngest of 7 children born to Ruth Fraser and Charles Davidson, both of Scottish descent. He spent his whole life in Mt. Dennis except for the 5 years he served in the Royal Canadian Navy on the H.M.C.S. Magnificent aircraft carrier, he was proud of this time in his life and many stories have been shared about life aboard ship. Don had many careers during his 86 year lifetime, most of which were as a result of a proud, determined, self-taught, self-employed skilled craftsman. Don was always there to lend a helping hand, driving DVA veterans, making sandwiches for a downtown mission, providing his reno expertise to the church and to anyone who asked for advice, to lend out a tool or simply to lift the mood with a joke or humourous quip. One of his greatest achievements was taking the family home on Marshall Blvd and completely renovating it top to botttom and inside to outside, providing his children life-long lessons about the inner workings of a house. Don & Darlene had the opportunity to do some traveling over the years, most recently to Newfoundland & Labrador, but also a cruise in the Caribbean, a trip to Expo 86 and an adventure in Spain. He would always say how very proud of his children he was and how well they turned out. He was a wonderful role model for working hard, being conscientious, helping others and having a sense of humour. He adored his grandchildren & great-grandchildren. Don-Dad-Grandpa gave us so many memories to cherish forever. Don leaves behind his loving wife Darlene, their children Gord (Pat), Lori (Barry), Brenda (Jack), Don (Penne), Patricia (Ray), grandchildren Lee-Ann (Robby), Jackie (Josh), Jennifer (Darryl), Nikki (Tak), Desiree (Justin), Dan, Holly (Jon), Valerie, Tyler (Natalie), Brian, Monica (Jake), Dylan, and great-grandchildren Kali, Hannah, Madi, Renee, Joshwa, David and Emma. Visitation at Ward Funeral Homes, Weston (2035 Weston Road, just north of Lawrence) on Friday, March 22nd from 2-4 pm and 7-9 pm. Funeral service will be held on Saturday, March 23rd at 2:00 pm at Saint Giles Kingsway Presbyterian Church, 15 Lambeth Rd, Etobicoke (Royal York/Dundas, behind Humbertown Plaza). Reception to follow. Flowers accepted or a donation to your favourite charity. 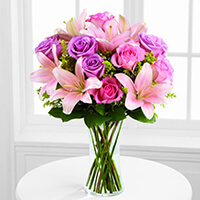 Consider providing a gift of comfort for the family of Donald Davidson by sending flowers. To Aunty Dar and Family, Our hearts are broken with the news of Uncle Don's passing. Words cannot express how sadden we are. We send you our love and heartfelt sympathies. Donna, Ralph, Gloria, Shirl & Rick purchased the The FTD Farewell Too Soon Bouquet for the family of Donald Davidson.